Your questions answered about CAFOD projects, development and emergency response. 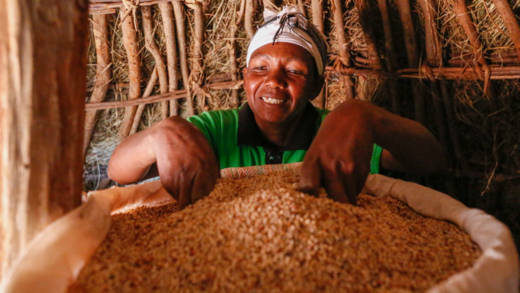 What is long-term development or long-term aid? Development addresses the life-changing problems people in poverty face right now: a child going hungry because of a crop failure; a grandmother who can’t drink safe water because of a drought; a father who has lost his home because a mining company wants his land. 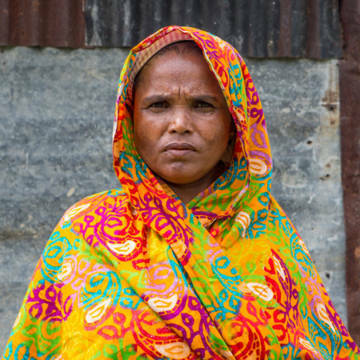 Long-term aid supports people in poor communities to demand and receive basic rights such as food, water, health services, education and ways of earning money. These are the basic resources people need to be able to look after themselves and their families. It means responding after a crisis hits to save lives. We are part of a global Church network with a local presence in 165 countries and territories. Together we make up one of the largest humanitarian networks in the world. Local experts in our network act fast in emergencies to provide the basics of survival, such as water, shelter or food. We also work with communities to help them recognise when a crisis is likely to develop and take steps to reduce the impact. Do long-term development and emergency response overlap? After disasters, we help communities to rebuild in a way that makes them less vulnerable. 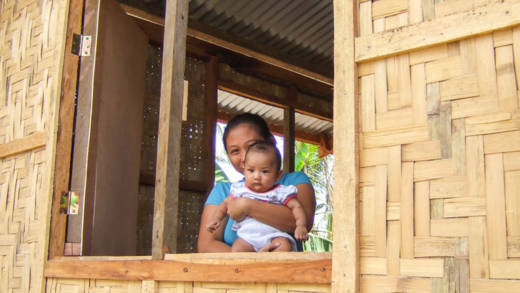 These shelters in the Philippines are designed to withstand extreme weather. Yes. CAFOD’s approach is to work with local experts before, during and after a crisis. We often think of emergencies as responding to short-term crises like floods or earthquakes, and then leaving again. But we help communities to be more resilient in the long-term. We make sure people have a better income, different ways of earning money, and are not reliant on only one crop or type of livestock. This means they can withstand the shock of a crisis when it hits. What does CAFOD do in terms of development? One example is our series of Hands On projects. These projects allow you to support a particular community as they tackle a large, two-year project. Our first Hands On project was in Kitui, Kenya. We took proactive steps to make sure people could grow crops in this area of unpredictable climate. As well as helping them alter their landscape, plant trees, use drought-tolerant crops, and access new water sources, it was important that people could earn money during times of crisis. So we helped them form cooperatives to produce goods to be sold. Now if you visit Kitui in a time of drought, water is available in the dams we’ve built, and crops are more drought-resilient. This means people have food and fewer people are malnourished. You can support development projects around the world by holding a fundraising event. We have lots of great, simple fundraising ideas, a handy step by step guide and event toolkits to help you raise money and make a difference. What does CAFOD do, then? CAFOD is the Catholic Agency for Overseas Development, and we are part of a global church network, Caritas, that has a presence in 165 countries worldwide. Many of these organisations are connected to the local Catholic Church and with them we reach those most in need, regardless of faith, gender or ethnicity. Our grassroots aid workers are based in communities, often in remote areas, and local people trust them. Being based in these communities enables us to understand local complexities and find out exactly what is needed. Whether it’s a local priest, a local midwife, a nun or a local water engineer – our help is rooted in the lived experience of communities. It also means we can reach rural and potentially isolated people, those who are hardest to reach. Because of our global reach and local presence, together we have the potential to reach everyone. Are some projects more difficult to fund than others? Currently we are forced to turn down one in three requests for help, simply because we don’t have enough money to go around. The funds for our existing projects come from different sources. Some money comes from the Government and other organisations through institutional grants, but the majority of our work is funded by supporters like you. It can be difficult to get funding for countries and issues that aren’t in the media, or when we support local communities to have a voice and seek justice against poverty. But the money given by supporters like you means that work can continue, even when other funds aren’t available. This means we can always support people who are most in need. Wherever we can, we help people to reach their potential so that they can live life to the full. We support people in their efforts to protect our common home, the earth, for generations to come. We believe that no one is beyond reach.